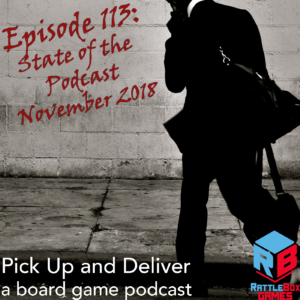 Brendan shares his thoughts on the future of the Pick Up and Deliver podcast. Have feedback or thoughts about how we should continue? Let us know over on BoardGameGeek, guild #3269. ← Pick Up and Deliver Podcast 112: What’s on the table?